How to grow: The California Garden Web, Berries. Also, see our separate Blueberries page. Fertilization: Nitrogen in spring, additional applications as needed. 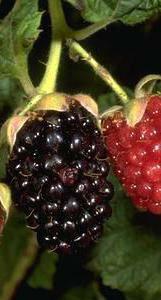 Caneberries (Blackberries, Raspberries) need annual pruning to maintain the right balance of new & previous season growth.